This week, prominent oddsmaker Bovada began allowing gamblers to bet on Johnny Manziel’s immediate NFL future. The payout for his failure (1-to-4 odds) is much slimmer than for his success (5-to-2). It’s an objective indication of Manziel’s chances at making a roster in 2018. Nearly six years have passed since he won the Heisman Trophy as a freshman at Texas A&M. And those six years have been packed with tribulations. His falling out with the Cleveland Browns. Rehab stints. Misdemeanor assault charges. A bipolar diagnosis. Despite all that, this year has the feeling of a promising one for the former Aggies star. He appeared earnest and honest during a Good Morning America segment in February and received a two-year offer from the Canadian Football League’s Hamilton Tiger-Cats the previous month. 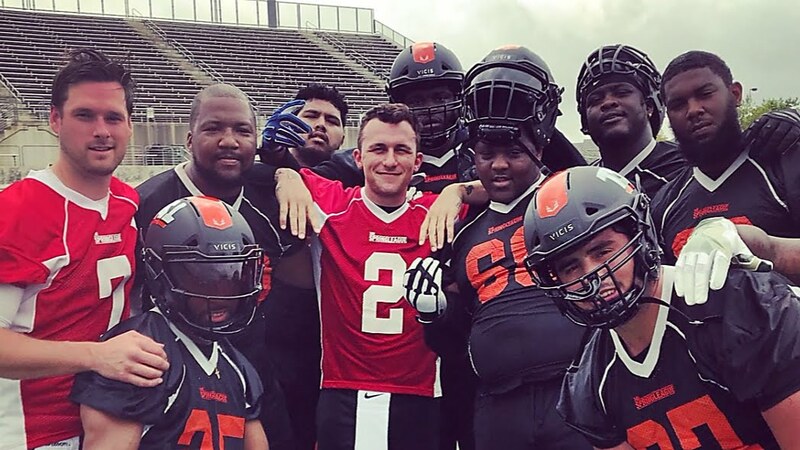 Manziel eventually declined the contract and instead decided to join the Spring League, a second-year organization that provides select NFL hopefuls an opportunity to perform in front of scouts.